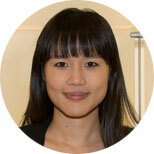 Angela Y. Chang is a Postdoctoral Fellow at the Center for Health Trends and Forecast at IHME. Her research focus is on the relationship of aging and health systems. Angela received a doctoral degree in Health Systems from Harvard School of Public Health and a master's degree from the Johns Hopkins School of Public Health.